Are you a student, stay-at-home mom, or just someone who needs some extra cash? Maybe you’ve dreamed of working from home so you can spend more time on the things that are most important to you, like family. Who wouldn’t want to work from their bed? Opportunities to make money from home are more plentiful than you think. Though scams are out there and you may be at risk without doing some serious investigating first, there are some companies and sites online that can help you earn legit money from home. This isn’t for everyone, and sometimes deadlines are tight, but you might find just what you’re looking for if you want to start a side hustle or online moonlighting. 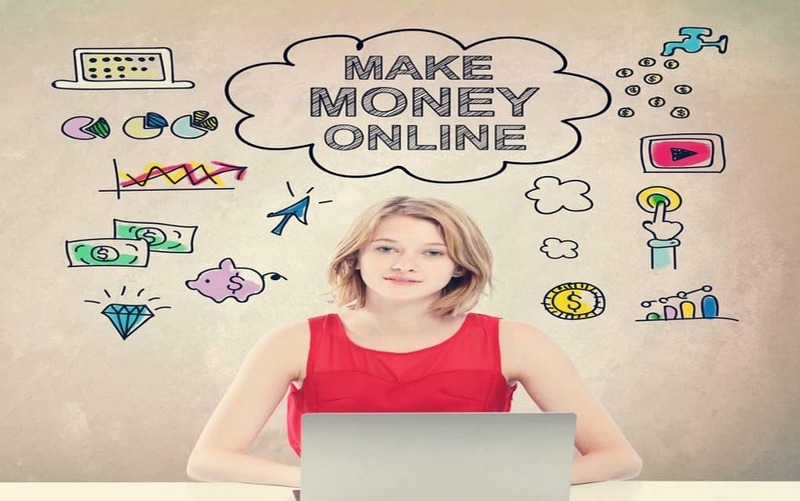 So, without further ado, here are the top 5 best ways to make money online. Do you actually enjoy reading and writing? Are technical documents something you understand easily? Are you goo at working with deadlines? If you answered yes to these questions and have a sharp eye, a career in online proofreading might be for you. Grammar, punctuation, and sentence structure are the most important aspects of proofread, so be prepared to scrutinize every single thing you read down to the last comma. It’s fun work and you can gain access to many eBooks, online courses, and other forms of literature to enjoy while getting paid. The pay? On average 35 cents per page, so your earnings depend on how quickly you can work. Focus groups don’t have to be in person anymore! This is great news for people who want to offer their opinion but maybe can’t or don’t want to leave their house. In addition to your computer, you will need a webcam to participate in online research panels. Payment for online focus groups varies and payment forms vary as well. Look for panels that pay via a check in the mail, a PayPal deposit or even a gift card. Check out ProOpinion.com to start out. Are you an avid TV watcher and want to turn your regular habits into money? RewardTV offers rewards for answering trivia from recently aired shows. You can get gift certificates for your favorite stores just by turning on the tube. RewardTV isn’t the only way to earn money watching TV, Swagbucks will give you straight cash for watching YouTube videos. Simply pick a category such as DIY or travel, and you are on your way to watching the money roll in. Why not make your education pay you back? If you’re capable of recording lesson videos, be ready to rake in anywhere from $50-$100! People are willing to pay to become successful themselves and they are eager to learn everything they can. So, why not help someone else out and share some inside secrets by creating an online cours. Another alternative is to tutor online. There are tons of opportunities that you can take advantage of by helping correct math to teaching English as a second language. Try Udemy or Skillshare to see if online courses are right for you. So, you’ve made a few bucks with some of these make money online suggestions, now it’s time to put your profits into a bank account. Consider opening a new bank account to top off all that cash. There are a few stipulations, but getting a bonus for opening a bank account online just might be worth it. A good example: Major banks like Chase often have promotions offering up to $150 when you open a new bank account and make a direct deposit within the first 60 days. Rebecca is a freelance writer, teacher, and literature enthusiast. She aspires to teach and change the world, one word at a time.